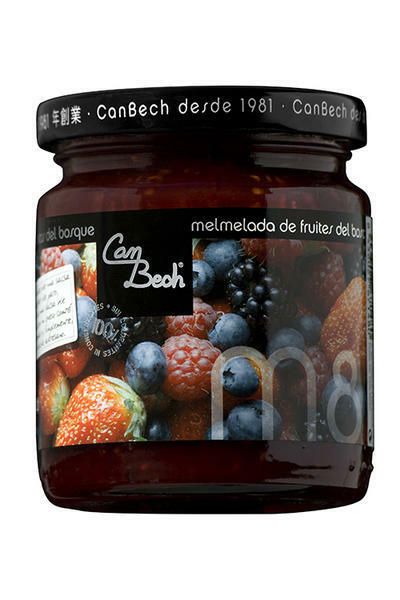 This is a very healthy jam, rich in vitamin C, and with a flavor that combines with numerous dishes, sweet or savory. 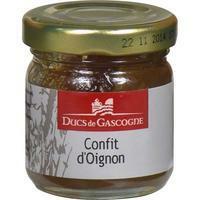 It can be used as a sauce base for duck confit by adding it to a meat sauce. Serve it with Comté cheese and hazelnut bread, or simply to accompany a homemade brioche. Ingredients: fruits (raspberries 29.7%, 14.9%, strawberries, apples, 11.9%, 2.97% blackberries, red currants 2.97%), sugar, lemon juice and fruit pectin. Fruit share is 64g per 100g of jam. It contains 48g of sugar per 100g (including sugar from fruit). 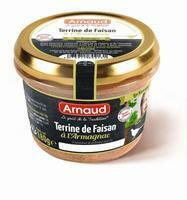 Venison terrine from Arnaud flavored with cognac.